CATERPILLAR CAT G3516-B 1100kWel x 2 Natural Gas Gensets for sale. SUBJECT: CATERPILLAR CAT G3516-B 1100kWel x 2 Natural Gas Gensets for sale. CAPACITY : 1,388KVA / 1,110eKW @ 400V, 50Hz, 1500RPM. REMARKS : Approx 16,000 HRS Approx since topoverhaul. CAPACITY : 1,388 KVA / 1,110eKW @ 400V , 50Hzm 1500RPM. b-Control panel for Gas Generator. 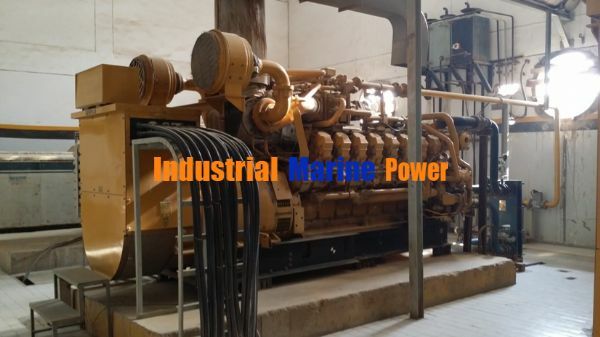 Re: CATERPILLAR CAT G3516-B 1100kWel x 2 Natural Gas Gensets for sale. where in the world are this genset installed, please send serial number.